Growing up in rural Missouri, I've certainly had my fair share of back road adventures; both intentional and accidental, culinary and otherwise (my internal compass is non-existent). One thing I have discovered: Missouri's landscape is sprinkled with tiny, charming towns, many of which are home to some of the Show-Me State's finest out-of-the way eateries. But there's no need to get lost to find a great meal. Just brush off your Google Maps app and get ready to traverse the state on your own Missouri culinary journey. I promise the juice is worth the squeeze. 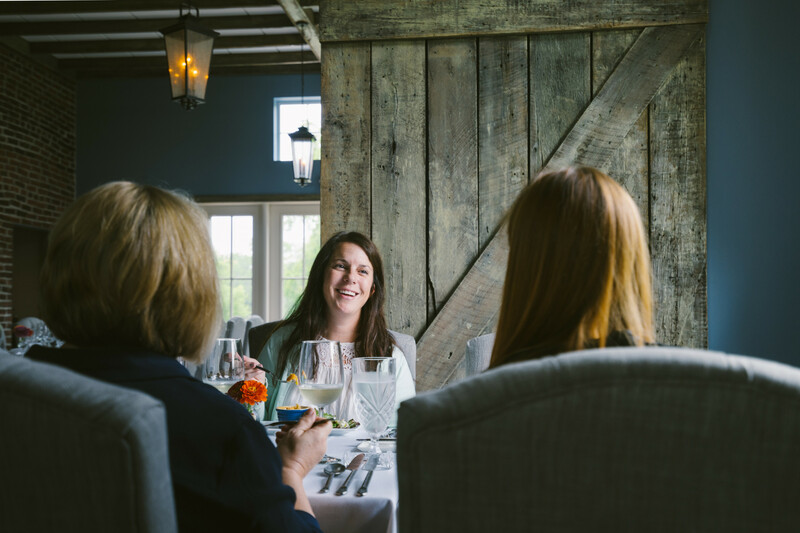 At the end of a gravel road in Cottleville, the elegant but rustic farm-to-fork restaurant, Stone Soup Cottage, serves up a new six-course tasting menu each month, with only one seating for 40 guests each evening. Experience exciting courses such as Pheasant Coq Au Vin with wild mushrooms and burgundy sauce and Pineapple Gateau with salted caramel and Maraschino cherry liquor gelato. Make reservations a month ahead to secure a coveted spot. I don't know if it is the well-seasoned grill, the fresh cuts of Missouri beef or the reasonable prices, but the steaks at Teddy Joe's are nothing short of miraculous. Order the "Teddy Joe's Special," a 16-ounce ribeye expertly cooked to your liking, as are all the steaks on the menu. Complemented by homemade beer bread and honey butter, your meal will forever put Martinsburg on your mental map. It may surprise you that the line to get into Charley's Buffet in Lincoln wraps around the building thirty minutes prior to opening, considering there is nothing but farmland and chicken coops as far as the eye can see. Don't worry, the friendly atmosphere and home-cooked, all-you-can-eat buffet makes the wait worth every minute. Imagine supper cooked by Grandma Faye down on the farm, amplified by 100. Oh, and the dessert! My advice is to go hungry and get there early. The restaurant is open seasonally Friday and Saturday 4:30 p.m.-8:30 p.m. only. Close your eyes and imagine an oasis miles from anything with breathtaking views, luxurious accommodations, tasty wines and a delectable menu. Now make the drive to Chaumette Vineyards and Winery (preferably with your eyes open) and your dream is a reality. Start your meal at the Cajun-Creole inspired Grapevine Grill with the New Orleans BBQ Shrimp followed by the Bourbon Street Steak with creole crawfish and asiago cream on a potato cake. They also have gumbo, y'all. Located in the small river town of Rocheport, Abigail's is an eclectic culinary adventure in itself. Don't be surprised when your server (quite possibly the owner) presents the seasonally based, daily-changing menu on a dry-erase board at your paper-covered table and then returns to the kitchen to cook your order. 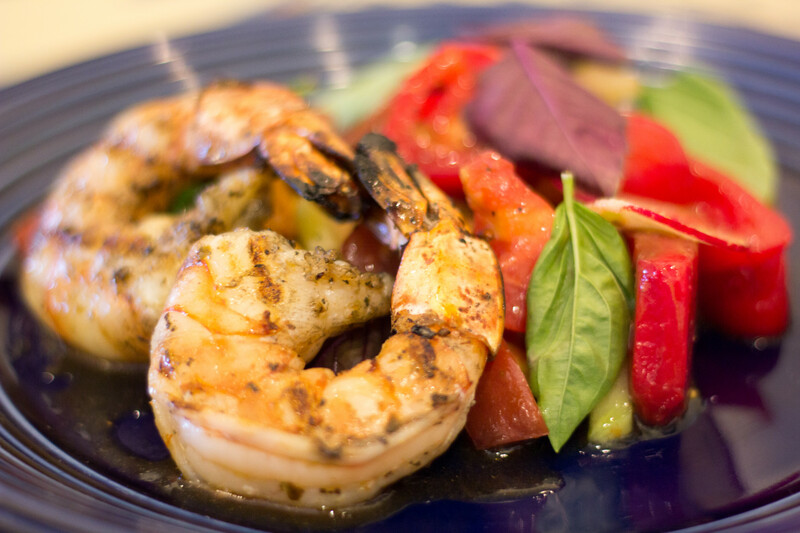 Choose from dishes such as a pork ribeye with raspberry barbecue sauce or lobster, shrimp and scallop ravioli with brown butter, garlic and lemon. Charmingly small with just 35 seats, the restaurant requires a reservation. Yep, our next stop is a restaurant in an airport hangar, in the middle of a quiet field in the middle of nowhere. However, the Hangar Kafe in Miller is not just a restaurant; it is a destination combining food, farming and flying. Owner Kiman Kingsley is a pilot and fourth-generation farmer on the land where the restaurant sits next to an active landing strip. Sink your teeth into a hand-breaded pork tenderloin sandwich while watching planes and skydivers land. The Pear Tree Bar and Grill in Macon offers many of the beloved favorites from the Abbadessa family's former restaurant in nearby Bevier. Try the succulent battered-dipped lobster bites as a stand-alone or atop a mouth-watering Black Angus beef steak with a side of their hand-breaded golden onion rings. We would be remiss if we didn't mention the famous "Home of Throwed Rolls," Lambert's Café. Widely known for its straightforward, down-home cooking, the restaurant attracts visitors from around the world who wait in line for hearty entrees like chicken-fried steak and meatloaf and pass-around sides that include macaroni and tomatoes, fried okra and, of course, the signature "throwed rolls." Sikeston is home to the original Lambert's, but there is a second location in Ozark. Certain restaurants are worth the drive whether it's via a highway or winding country road. Plan your next road trip to explore one of Missouri's many destination dining experiences – or as Yogi Berra would say, "When you come to a fork in the road [pun intended], take it." Maybe I'll see you there! Don't forget to tag your food pics #MissouriAdventure! Written by Amanda Long for the 2019 Missouri Travel Guide. To see more articles like this one order a Missouri Travel Guide today.